Ferdinand arrived at The Gentle Barn 30 days ago thanks to a partnership with Zevia and Twentieth Century Fox, who reached out to the organization prior to the release of its upcoming film “Ferdinand.” Based on the children’s book “The Story of Ferdinand” by Munro Leaf and Robert Lawson, “Ferdinand” tells the story of a bull with a big heart. After being mistaken for dangerous beast, Ferdinand is captured and taken from his home in Spain. With the help of a misfit team, Ferdinand and his friends go on an adventure and prove “you can’t judge a bull by its cover.” “One of their [Twentieth Century Fox’s] higher-ups reached out to us and said ‘What can we do to make the Ferdinand movie more impactful and spread more good?’” Laks said. 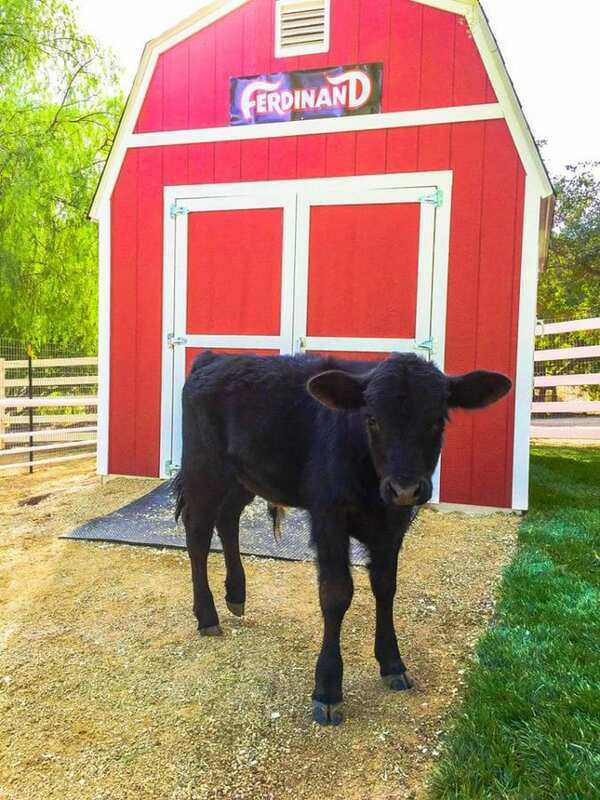 “We decided to rescue the real-life Ferdinand.” After reaching out to their connections across the country, The Gentle Barn rescued the eight-week old calf from a slaughterhouse and brought him home to Santa Clarita. “He came in really sad, really scared, very frightened,” Laks said. “Me and my daughter actually camped out with him for a week straight to get him used to the sound of our voices and us moving around until we could hug him and interact with him.” Laks also had her staff work with Ferdinand in four-hour shifts throughout the day and night so he could get used to having people around. “He was so absolutely terrified we had to do something to let him know he would trust us and he was so sad that we had to show him he wasn’t alone,” Laks said. After receiving lots of compassion, love and hugs, Ferdinand began to let his guard down and play with The Gentle Barn volunteers. 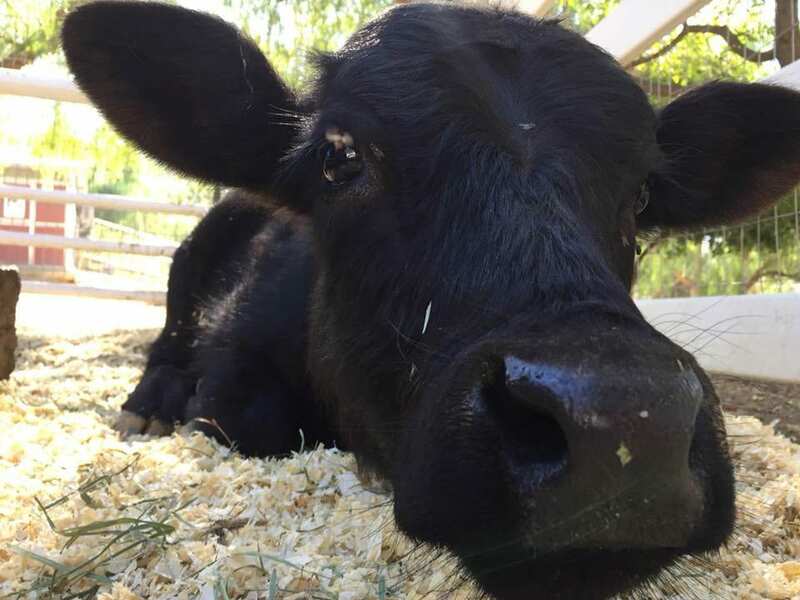 Now, at 12 weeks old, Ferdinand is ready to meet other Gentle Barn animals and make new friends at the animal sanctuary. “Now he can come nose-to-nose and face-to-face with other animals,” Laks said. “There will be one or two specific animals that will want to step forward and hangout with him. Those individual friends will join him in his area until they bond… When they bond, he can come out of the barn area with his new friends.” Ferdinand’s transformation throughout the past 30 days reflects the message of the book and film, which encourages others to be who they really are.